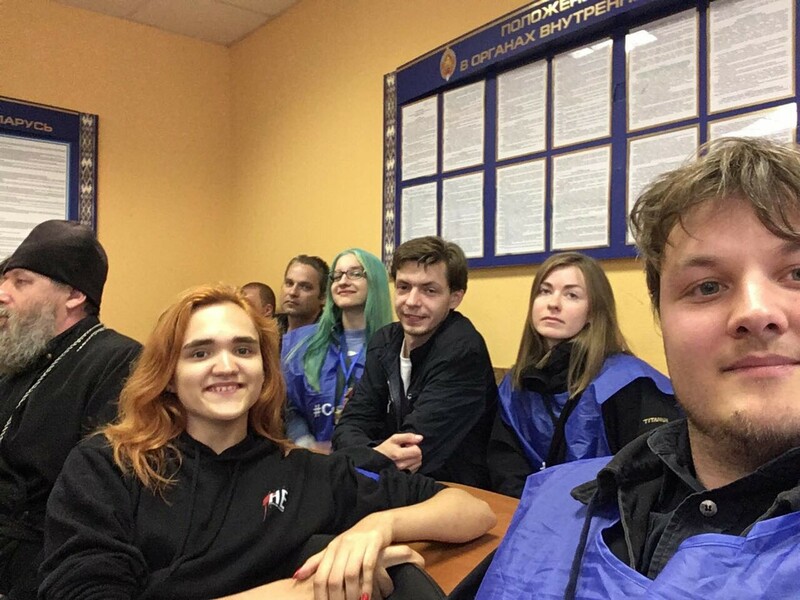 Five observers of Viasna and BHC’s joint monitoring service #ControlBY were briefly detained in Minsk yesterday afternoon ahead of a protest announced by opposition leader Mikalai Statkevich. The politician himself was arrested shortly after leaving his house. Hanna Sakhankova, Andrus Krechka, Tatsiana Mastykina, Yury Miatselski and Alena Bohdan were arrested by plainclothes police officers and forced into a bus. They were then brought to the Pieršamajski district police department. Another observer, Anisiya Kazliuk, was detained after she arrived at the police department to confirm the arrest of her co-monitors. All of them were released without charges later the same day. The police also detained around 30 protesters. Most of them were eventually released without a charge. However, several people remained in custody and faced charges of involvement in the Kurapaty protests in June.